and travelled the next French town that was to be our home base for the next 4 nights -- Villefranche-sur-mer, which is possibly (99% certain) my absolute favorite place in the whole world. It's gorgeous and quaint and so so french - AH I was dying. 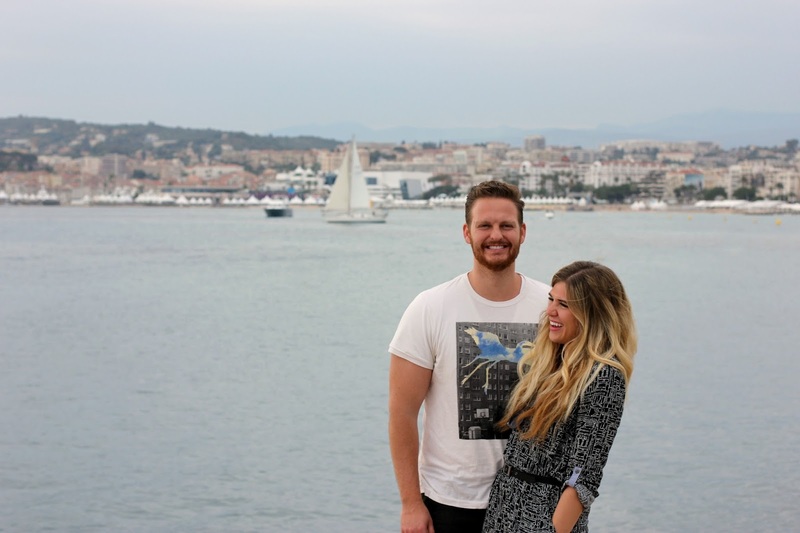 We chose to stay there because we had heard it was amazing (it is) and also because it was right in the middle of a whole bunch of places we wanted to visit, including Cannes! And we happened to be there during the last weekend of the film festival, which pretty much made my life. It was so much fun, and so different from the Sundance film festival (for example, women were required to wear heels on the red carpet and even the paparazzi had to be in tuxedo's... it was a classy affair to say the least). We walked around the city and shopped and soaked in the atmosphere and then right as we were heading back to the train station WHAM! 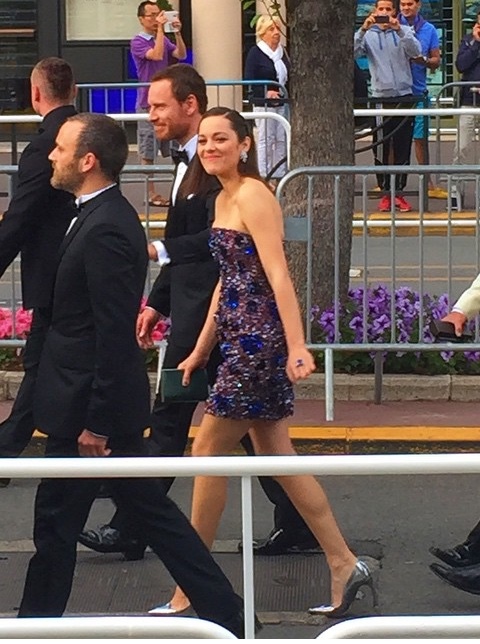 We ran right into Michael Fassbender and Marion Cotillard on the red carpet! They're both in Macbeth and it was premiering. It was weirdly the most perfect timing ever (also Eric -- as in Eric&Kimmi, our BFF's that we were travelling with -- is a celebrity magnet, seriously it's uncanny how many celebs he has randomly run into).